Birks. 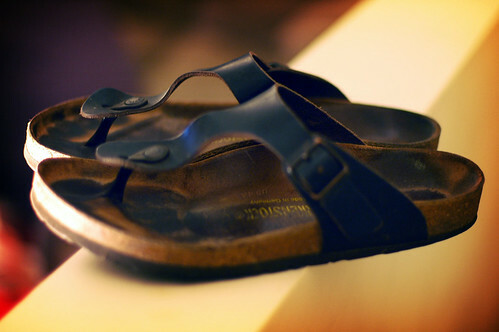 I know these look like California hippie sandals, but when we were in Paris EVERY WOMAN ON THE STREET was wearing these and apparently they were super-hip back in '05. So there. Size 41, I wore nothing else for the last two summers.